Please drop your notices on my discussion page in the German Wikipedia!!! Veuillez s'adresser vers mon page de discussion dans la Wikipédia allemande s.v.p.!!! Hinterlassen Sie mir Ihre Nachrichten bitte auf meiner Diskussionsseite in der deutschsprachigen Wikipedia!!! 20 Round 2 of Picture of the Year 2018 is open! If you have the time, can you update these two maps you uploaded, some day (hopefully not in the too distant future :)), because South Sudan is missing and they are not up to date; or change their names by adding a fixed year besides the names of these maps, reflecting the latest update long ago? I am adding South Sudan (as well as Montenegro and other possible missing updates) in the PNG maps in Category:Maps needing South Sudan political boundaries and then remove this category after updating them. There were close to 1100 maps since I started to update these files, now it is reduced to 800 maps, but there is a long way to go. Unfortunately I don't know how to edit SVG maps myself, that is why I asked you. Can you add South Sudan whose official language at the national level is only English, and also add the Berber language for Moroccco as an official language besides Arabic (just like Algeria) in File:Karte der Amtssprachen und Nationalsprachen in Afrika.png you uploaded? Please see the sources. Can you update File:Israel Railway Map.png (because the Netivot-Beersheba and the Haifa-Beit She'an railway lines were completed and opened to service in late 2015)? File:Meisterwerke des mündlichen und immateriellen Erbes der Menschheit.png and File:Meisterwerke des mündlichen und immateriellen Erbes der Menschheit.svg are not used anywhere and not up-to-date. I won't edit them anymore. File:Masterpieces of Intangible Heritage.png isn't a map by me. Generally there are far better maps on the subject of the UNESCO World Heritage. I can't see any reason why to add the South Sudan borders in maps that are are not used and out-of-date and where better maps are existing. I will do the works on File:Karte der Amtssprachen und Nationalsprachen in Afrika.png and File:Israel Railway Map.png when I'm back home. Hola, tienes errores en la mapa de Mi Teleferico, la linea Morada y la Linea Cafe. Asi debe ser: Linea Morada y Cafe Correcion. 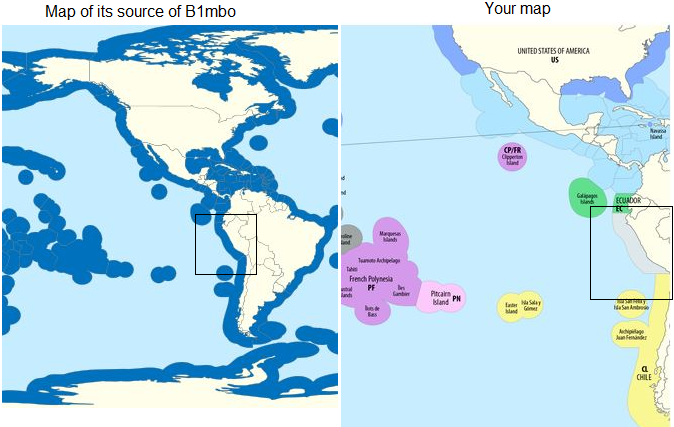 Hello, I have seen that your map has errors, regarding the EEZ of Peru, because although you have used this map as a source, in which you have created, you do not see the updates of those limits. I would like you to make the corrections so that your map will be very useful. I leave some maps to be useful in your modifications. Can you update File:Israel Railway Map.png (because the Karmiel railway line was completed and opened to service in 2017) like the updated File:Israeli-Palestinian Railways.svg? Can you update File:Israel Railway Map.png, because the Jerusalem-Tel-Aviv railway line has been completed and opened to service in October 2018, and also add the Karmiel railway line which was completed and opened to service in 2017? The File:Israeli-Palestinian Railways.svg provides the latest updates and sources. Your map, like all your maps, is a good map and deserves to be updated. Can you update File:Rail transport map of Saudi Arabia - DE.png, File:Rail transport map of Saudi Arabia.png, File:خريطة سكك الحديد السعودية.png? The Mekka-Medina high-speed railway line was opened to service on Tuesday 25 September 2018. Dear Chumwa, as a contributor to the Dutch Wikipedia I am writing an article on the Hiawatha crater which was discovered in Greenland in what I understand to be Avannaata municipality. The Dutch Wikipedia seems to be outdated on this, as it refers to the region as Qaasuitsup. According to the articles on the English Wikipedia, the new municipalities were created on the first of January, this year. I wanted to use this location map by NorthNorthWest (ping) but noticed how the borders don't match with the information we have on the Dutch Wikipedia. NordNordWest said he based the borders on your File:Map of the municipalities and districts of Greenland.jpg. Do you by any chance have a vector version of the Manchester Metrolink map? 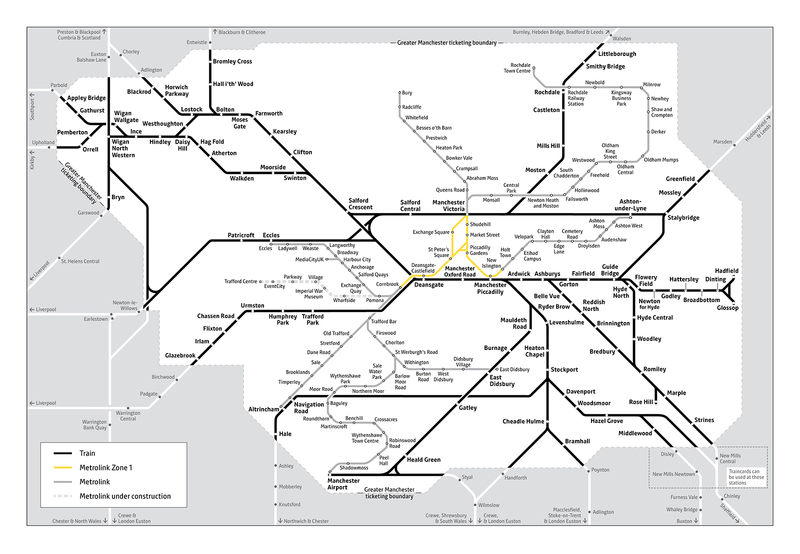 The reason is that a full rail map for Greater Manchester (like this) is missing on Commons; such a file would make it easier to create one. Can we use Indian map for rail route? It's necessary to credit Indian map image holder. This page was last edited on 25 March 2019, at 20:07.